Inky Fairy Designs: The Greeting Farm OCTOBER Farm Fresh Challenge: MONOCHROMATIC! The Greeting Farm OCTOBER Farm Fresh Challenge: MONOCHROMATIC! I had so much fun creating my card for this challenge. I love the way monochromatic looks on kraft card stock no matter what color you go with. 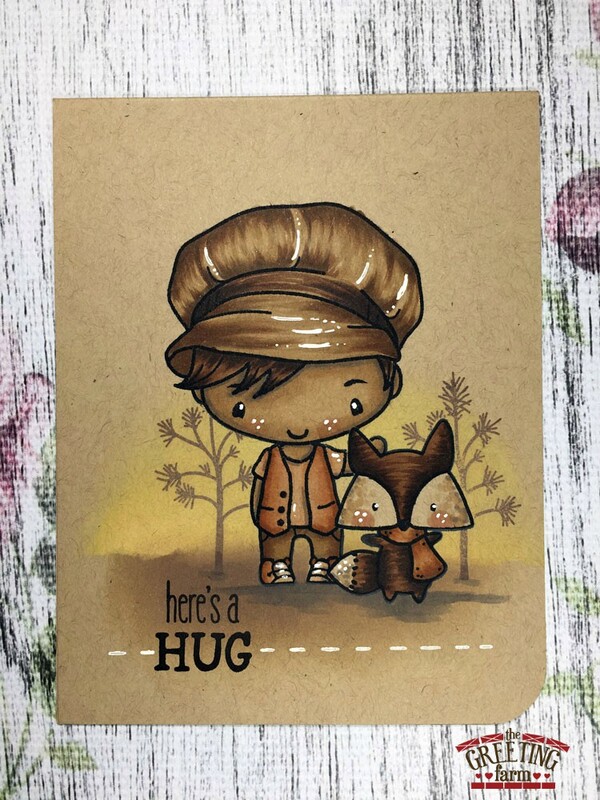 I knew I wanted to stamp the cute little fox from the Oh, What Fun set but I also wanted to create a little scene with another stamp from The Greeting Farm and I finally decided to go with Call Me Ian because he would go with the vintage look I was going for. I did a little bit of masking to start building my scene. I also stamped the trees from Oh, What Fun a little in the background. When none of the sentiments from either stamp sets really went with my scene, I dug through more of my TGF stash and found this fun one from the Mini-Remix Fall set. I think the little fox looks like he's trying to give you a hug! I will have the entire coloring process on my YouTube channel tomorrow if you want to check it out be sure to subscribe so you are notified when it goes live! 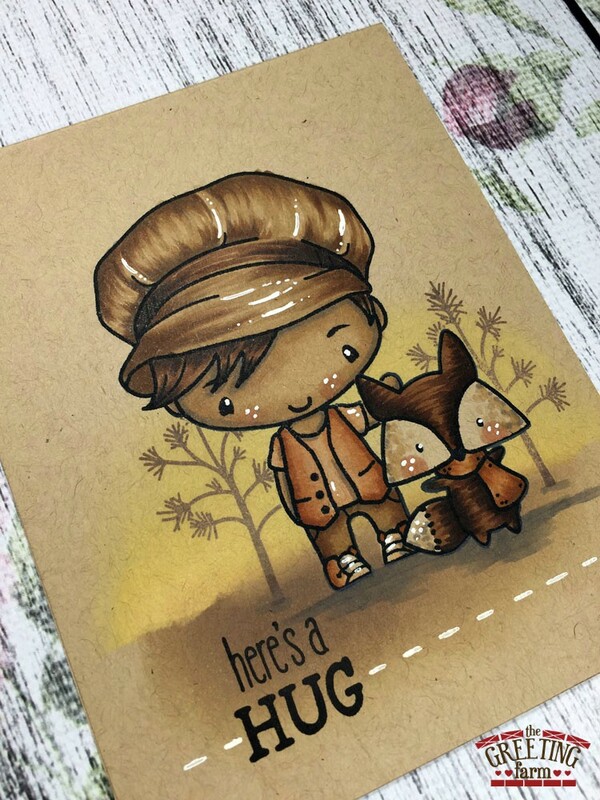 Looove imaged colored on kraft cardstock! Such a great classy look! Wow !! That card is so beautiful !! Your coloring is stunning and the fox is so cute !